The Distinguished Award winners are shown with Moody McCall, D.V.M. ; president of the college’s Alumni Council, at far left. Next to McCall are Virginia Quelch, D.V.M. ; Mark Gendzier, D.V.M. ; Kirsten Cooke, D.V.M. ; Jacqueline Neilson, D.V.M. ; and Tyrell Kahan, D.V.M. 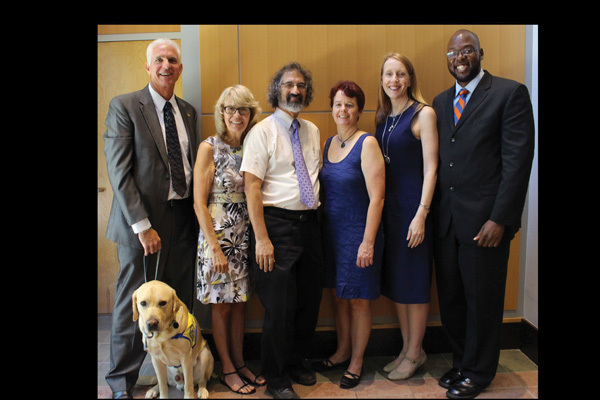 data-gallery Veterinarians focusing on areas ranging from behavior to small animal practice and international development were honored recently at the UF College of Veterinary Medicine’s 2017 Distinguished Awards ceremony. Established in 2000, the program recognizes outstanding alumni, faculty and friends of the college in the categories of alumni achievement, distinguished service and outstanding young alumni. Jacqueline Neilson, D.V.M., a 1993 graduate of the college, received the Alumni Achievement Award. In 1995, she became the first veterinarian in the United States to perform a residency in Clinical Animal Behavior in the new American College of Veterinary Behaviorists, becoming board-certified in this specialty in 1997. Her best-selling textbook, “Blackwell’s Five-Minute Veterinary Consult Clinical Companion: Canine and Feline Behavior,” has been translated into multiple languages and is distributed worldwide. Mark Gendzier, D.V.M., and Virginia Quelch, D.V.M., both 1987 graduates of the college, received the Distinguished Service Award. The couple owns the St. John’s Veterinary Hospital and Cat Clinic in St. Augustine and have supported the college through years of referrals, by employment of UFCVM alumni as associates, through consistent attendance at college and alumni events and activities and through financial gifts to enhance college programs. Kirsten Cooke, D.V.M., a clinical associate professor of small animal medicine in the college’s department of small animal clinical sciences, received the Special Service Award. Cooke joined UF’s faculty in 1998 and has directed the small animal medicine residency program since 2002 while also serving as adviser to the Student Chapter of the American Veterinary Medical Association since 2005. She oversees the UF Small Animal Hospital’s blood bank and volunteers for the college’s disaster response team. Receiving Outstanding Young Alumni Awards were Tyrell Kahan, D.V.M., and Stephanie Kane, D.V.M., 2011 and 2012 graduates of the college, respectively. Kahan is performing a Science and Technology Fellowship with the American Association for the Advancement of Science with placement at USAID in Washington, D.C. He serves as an international research advisor at the agency’s Bureau for Food Security. Kane is the medical director at Care Animal Hospital, a large mixed animal practice in Brandon, Florida owned by her father, Richard Kane, D.V.M., a 1984 graduate of the UF veterinary college. 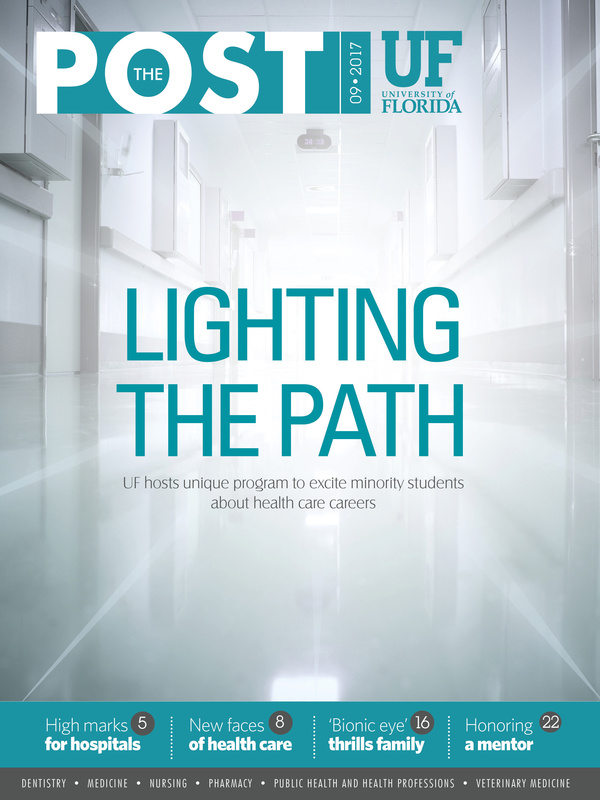 She supervises and mentors a staff of more than 30 employees with a caseload of thousands of patients each year.